BI Administration Cockpit is important function within SAP BW system. It basically brings all pieces needed to run BI Statistic together. Even when we talk about the BI (or BW) Statistic we refer to it as BI Administration Cockpit. The cockpit or Statistic is not deployed in many even productions BW systems. It is really a pity as it provides many useful functions. 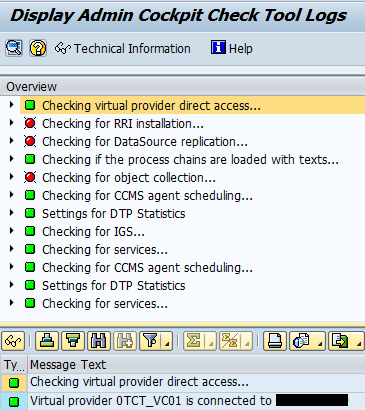 There is a tool to quickly check what a status of deploying of BI Statistics is. It is available via tcode ACPTOOL (ABAP program RSTCT_ADM_CP_CHECK_TOOL).